Many motorists overlook their car’s tyres, dismissing them as black round items that just come as part of your car. But they’re the only point of contact between your vehicle and the road, and have do deal with the work of steering, braking and transmitting power. Every tyre fitted to your vehicle that comes into contact with the highway is required to possess at least 1.6mm of tread (depth) across the central three quarters of the tyre’s width and around its entire circumference. We suggest you make sure the spare complies with the regulation too, just in case. You can check your tyre tread using a simple digital tyre pressure guage. This tool not only will check tyre tread but also the pressure of your tyres. If you flout the law on this, it will not let you get off lightly. Ignorance is not an excuse here and you owe it to every other motorist to regularly check your vehicle’s rubber and ensure it’s in first class condition. Your car’s tyres are important as they keep you and other road users around you safe. Whenever you turn the wheel or push the brake pedal, they’re part of the complex interaction of systems and technology that enact a change on your vehicle’s trajectory or speed. A tyre’s tread blocks move water on a wet surface, helping grip. When these become worn down to the wear ‘bars’ or indicators, all the soft, grippy rubber has been abraded and only the harder carcass of the tyre remains. As a result, grip in dry conditions is lessened, and with no tread blocks to cut through standing water and remove it from the rubber-road interaction, wet grip is seriously diminished. This can lead to a phenomenon called aquaplaning. When the tyres can’t move water, a film of moisture builds up between the rubber and the road meaning the tyre isn’t actually in contact with the tarmac. Put simply, when your tyre is bald there is no way it can mould itself around the road surface – there simply isn’t anything there to mould. All of the jobs you ask a tyre to do will happen much slower with a more worn, less grippy tyre. Brake hard in a queue of traffic and you might find you can’t stop in time, such is the reduction in friction. Swerve quickly to avoid an obstacle and you might find you car lunging into a violent skid and spinning off the road. Would you intentionally do this with your family in the car or other vehicles or pedestrians around? Certainly not. But in neglecting to care for your tyres, it’s effectively what you’re doing – endangering the lives of many road users in the process. Are there different types of tyres available to me? It is true that choosing an appropriate tyre for your type of car and the type of driving you generally do can be a black art. But there are many guides out there to help. Generally, you get what you pay for when it comes to road rubber. There are different types of tyres orientated towards different seasons of the year – summer tyres will be more biased towards dry, warm conditions, whereas winter tyres are designed to give you more grip in colder, wetter conditions. If you look closely at the construction of a winter tyre you’ll be able to see it’s made up of considerably more tread blocks than any dry-biased rubber, giving it the ability to move more water when you’re on the move. There are pros and cons to both types of tyre, not least of which is that they’ll work brilliantly in the conditions they’ve been designed for, but they’ll be compromised elsewhere. To combat this, people are increasingly buying spare sets of wheels to mount their winter tyres on, swapping to those rims and storing their summer wheels when the cold seasons come. Summer orientated rubber will work in the winter in all but the harshest of conditions. But you have to keep your wits about you, as the breakaway or reduction in grip happens much quicker than if you were on a specialised tyre for those circumstances. Likewise, winter tyres will work perfectly well in summer, but the ultimate dry performance of a bespoke tyre for fair weather won’t be there. The most important thing, however, is to always drive to the conditions around you. This means sensible following distances and speeds, as well as no sudden inputs that may shock the car or provoke it into losing adhesion. For most vehicles an all-round tyre will be adequate, but if you’re looking for that peace of mind in the wintertime, specialised rubber is the way to go. How do I know what to look for in a tyre? The European Union has recently decreed that all new tyres should display an information label, giving customers easy-to-consume facts in order for them to compare tyres in three areas. These include fuel economy and wet grip – judged from A to G (A best, G worst), as well as noise. Fuel economy is represented by fuel pump, wet grip by a simple cloud symbol and noise by anywhere between one and three sound waves. It doesn’t mean a tyre scoring poorly for noise and fuel economy will be poor, though. Performance-biased dry tyres are often very grippy, but noisy and inefficient as a result. The label is there simply to give you a guide. The secret to keeping your vehicle’s rubber in A1 condition is regular inspections. That way, if you notice anything unusual, you can take it to your local garage or preferred outlet to seek a professional opinion on what to do. Visual inspections are where to start. Look at the surface of the tyre and even run your hand over the tread if necessary to check for any foreign bodies embedded in the rubber. Obviously a portion of the circumference is going to remain in contact with the ground, so roll the car forward enough to visually and physically inspect the remaining portion of the rubber. If you do detect anything in the tread and you’re unsure what to do, the first thing is to check the tyre pressures. If these are within manufacturer tolerance, drive slowly and carefully to a professional tyre outlet to seek their help. If not, it might be worth jacking the car up, properly supporting the vehicle and taking the wheel in question off. You can then take this to a garage and get it repaired or replaced if necessary. Monitoring tyre pressures is important, too. Manufacturers quote pressures for a reason, just as they do grades and quantities of oil for your car’s engine – you wouldn’t put the wrong oil or too little of it into your motor, blatantly risking a mechanical failure, so why do it with a tyre? Air pressure inside the tyre inflates the carcass and pushes the tread blocks out away from the centre. 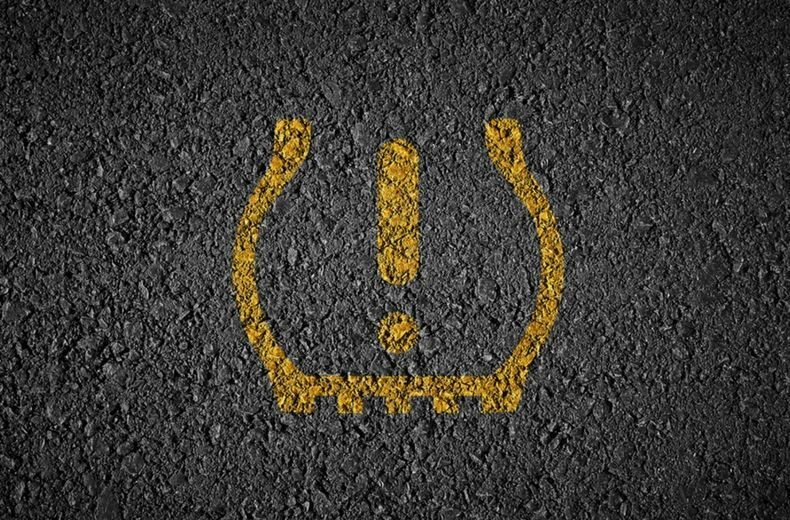 Too little pressure and these tread blocks close over and don’t displace water effectively – it also decreases efficiency – too much and your car’s ride can be too bouncy. Your tyres do a lot of work, so it’s important to keep them in great order. It’s easy to do so however, with a few simple steps. Make sure you keep and eye on pressures and check them regularly – especially before long journeys. Adjust them by re-inflating or deflating the tyre to the recommended settings if necessary. Always keep an eye on your tyres, too. A weekly check can help you spot what could turn into a very real problem on the road. It’s good practice and it’ll help keep you and other road users safe. If you follow the above rules, apart from routine wear, tyres shouldn’t be a problem for you. It’s easy when you know how. Green tyres: how are they different?